Despite the increasing prevalence of digital content, the print magazine continues to be a popular format for professionals across the creative industry. The secret to its enduring success? Its capacity to be whatever you need or want it to be. Give your next pitch or job interview an edge with a portable showcase of your best work—one that can be easily left behind with potential clients or employers. Rather than sending over a link to your online portfolio (which may or may not be lost in their inbox) leave them with something tangible that they can pore over right then and there. 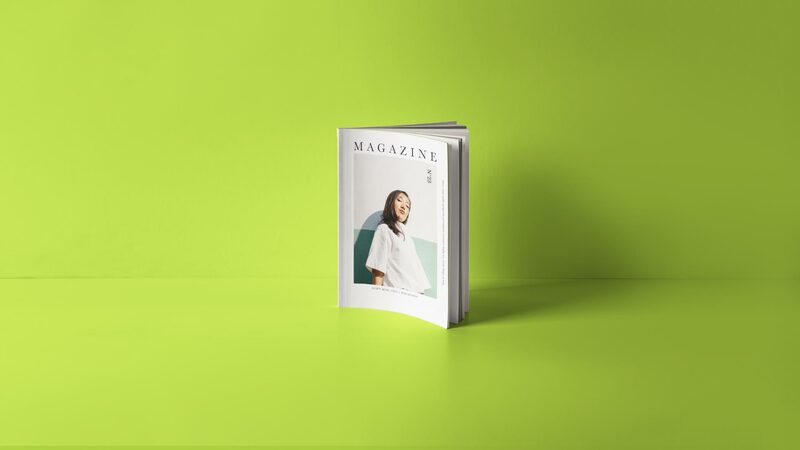 As well as showcasing your range of products and services, a magazine can strengthen your brand, establish your expertise in your chosen field, and help you build a more personal connection with your customers. Fun staff interviews, behind the scenes snapshots, case studies, and industry news are just some of the features you could include. From knitting patterns to recipes, magazines provide the perfect layout for step-by-step instructions. You might already be blogging about your hobby or side-hustle, which means you have content ready to turn into collectable printed editions. Hitting the road? Why not put your travel journal into print? Combine beautiful images with stories, reviews, top picks, and advice for people following in your footsteps. With Blurb’s print-on-demand service, you could easily create new editions of a travel-based magazine on the go—giving your subscribers real-time updates from the road with each new issue. Why not kick off the series with an edition all about your hometown? Magazine layouts are ideal for combining illustrations, graphics, and text to tell a story. And they’re not just for children! The popularity of graphic novels such as The Walking Dead and V for Vendetta prove that there’s an appetite for good story telling in this format among people of all ages. Got lots of short story ideas? Or the first few chapters of an epic novel? Serializing your content in magazine format is a great way to monetize your content and build an engaged following. Publishing in instalments means you’re also able to garner audience feedback and input along the way. For diehard fans of your story and characters, your magazine will become a collector’s item. Do you live and breathe a sport, team, place, activity, style, or genre? Whatever it is, why not base a magazine on the thing that you love, for other people who love it, too. That’s exactly what Mac Malikowski did in 2015, when he started Mouthfeel Magazine. Making a magazine demands a wide array of skills, from layout and design to writing, photography, editing, and illustration. We can’t all be good at everything, so making a magazine is a great opportunity to work with other creative professionals with the same passion but a whole different skill set. What will your magazine be? Get started today. NextHow Long Does It Take to Write a Book?